A ketogenic diet is a low carb, high fat diet. One of its main goals is to train your body to get its energy from a whole different source – ketones, rather than glucose. When you eat carbs, your body naturally converts them into glucose and insulin. Glucose is the easiest molecule for your body to convert into energy and is your body’s immediate go-to for fuel. Insulin is what carries the glucose all through your bloodstream and gets the converted energy to where it needs to go. Because of this process, the fats you eat don’t often get used and end up getting stored away. They are considered as more of a backup for your body and because of the high amount of carbs the majority of people consume, fats rarely get touched. The ketogenic diet (AKA keto diet) breaks this cycle. Through the dramatic drop in carbs, your body starts to go into a state known as ketosis. This is what happens when the amount of healthy fats you eat greatly outnumber the amount of carbohydrates you eat. When you start doing this, your body has no choice but to resort to this ketosis state. The fats you eat will start getting converted into ketones through your liver and those ketones will become your body’s main source of energy. This is a whole different way to get your body into a metabolic state. Rather than starving it of calories, you are starving it of carbs, training your whole system to make ketones as your body’s main source of energy. Standard Ketogenic Diet (SKD) – This is the typical form of the diet. It is very low carb and moderate protein. 75% fats, 20% protein and 5% carbs. Cyclical Ketogenic Diet (CKD) – This is a more advanced form of the diet, typically used by athletes. It involves high carb days. For example, 5 keto days will be followed by 2 high carb days. Targeted Ketogenic Diet (TKD) – This is also a more advanced form used by athletes, which allows you to add more carbs around workouts. High-Protein Ketogenic Diet – This is very similar to the standard form of the diet, it just includes more protein. 60% fat, 35% protein and 5% carbs. Keto macronutrients (or macros) are the general amounts of healthy fats, proteins and carbohydrates you should aim to eat each day. These amounts can vary from person to person depending on age, height, body fat percentage, activity levels, etc., but generally you want to aim for about 75% fats, 20% protein and 5% carbs. To calculate your own, more specific keto macros, check out this keto macro calculator. Calculators like this will give you your macros in grams, which can be much easier to track than percentages. In basic terms, you should base the majority of your diet on meats, butter, eggs, nuts, healthy oils, avocados and low-carb vegetables. Healthy fats – Saturated (coconut oil, butter, chicken fat), monounsaturated (avocados, macadamias, olive oil), polyunsaturated omega-3s (animal sources, fatty fish). Meats – Chicken, beef, lamb, preferably free range and grass-fed. Eggs – Preferably from free range sources. Cheese – Use raw, unprocessed and organic if possible, make sure it’s full fat. Butter/cream/ghee – Organic, grass-fed sources are best. Fatty fish – Things that are fresh caught, like salmon, tuna, flounder, catfish, halibut, tuna, etc. Nuts and seeds – Macadamias, walnuts and almonds are best, cashews and pistachios are high in carbs, so be careful with those. You can also use nut and seed flours (almond flour, milled flax seed, etc.). Healthy oils – Olive oil, coconut oil. Go for organic and virgin or extra-virgin oils. Avocados – Best fruit source for the keto diet. Low-carb veggies – Most green veggies, tomatoes, peppers, onions, etc. Some berries – Strawberries, black berries, etc. Some condiments – Sea salt, pepper and healthy herbs and spices (cinnamon, turmeric, cayenne pepper, ginger, garlic, etc.). Natural sweeteners – Stevia (liquid form), sucralose (liquid form), erythritol. Liquids – Water is obviously best, tea is awesome and coffee is fine in moderation. You should do what you can to avoid any carb-based foods, sugars, starches, legumes, rice, wheat and unhealthy fats. Sugars – If it has sugar, avoid it (candy, desserts, ice cream, chocolate chips, etc.). Grains/starches – Everything from wheat to pasta, even quinoa should be avoided. Beans/legumes – Peas, chickpeas, kidney beans, black beans, lentils, etc. Most fruits – Most fruits are high in carbs and sugars that can alter ketone levels. Diet products (low-fat, sugar-free) –These are often highly processed and also contain sugar alcohols, which alter ketone levels. Unhealthy fats – Avoid processed vegetable oils, mayonnaise, etc. Most condiments and sauces – Most are often made with sugar and are full of carbs. Alcohol/sodas – Alcohol have carb contents that can throw you out of ketosis, sodas are flowing with sugar. Because the keto diet is designed to convert your body to burning fat for energy instead of sugars, you become a fat burning machine. Studies have shown that the keto diet does a far more efficient job at helping you drop those pounds; in fact, people tend to lose more fat on a low-carb diet than they do on a calorie-restricting diet. Along with the healthy fats you eat, the longer you’re on a keto diet, the more your body can begin to dig into the fat you’ve had stored within your body and you will eventually start to see it melt away. The keto diet helps you burn away excess fat, which is linked to type 2 diabetes, prediabetes and metabolic syndrome. It also has shown to help regulate insulin levels and improve insulin sensitivity. There have even been instances where people have been able to lessen the amount of medication they were taking, if not wean themselves off it completely. When your body is carrying around excess fat, your blood pressure and sugar levels can be affected and as a result, your risk for heart disease can increase. The keto diet burns this excess fat away, also burning away the risk. High amounts of carbs and wheat have also been known to be causes for heart disease, so naturally, reducing and cutting these out of your diet can take your risk for heart disease down by a lot. Studies have also shown that the long term effects of the keto diet can help improve and balance cholesterol levels. Sugar is one of the top substances that feeds cancer cells and triggers them to grow. Since carbs are broken down into glucose, while your body may be using that glucose for energy, that glucose could also be feeding cancer cells in your body. Taking your carb count down literally starves cancer cells and prevents them from growing. Studies are also being done to show the effectiveness of the keto diet on combating and preventing cancer. There have been studies that have shown how the keto diet can help slow down and reduce symptoms of Alzheimer’s disease. The keto diet has also helped people with concussions and brain injuries recover more quickly and smoothly. Along with that, the foods you eat can have a dramatic impact on your gut and therefore, your mood as well. Taking out carbs and sugar from your diet can lessen the amount of toxins and bad bacteria that build up in your gut and also help it cleanse itself, which naturally helps elevate your mood as well as your energy levels. This one doesn’t really need to be said, but once your body gets used to functioning on a keto diet, burning ketones for energy, your energy levels can be improved by a lot. Fats have proven to be a more reliable and sustainable source for energy than glucose and can keep you going all day long. Within just a few months, studies have shown how the keto diet can significantly help clear the skin of acne and other lesions and blemishes. Sugars and high insulin levels tend to be heavy causes of acne and other skin conditions. When starting any new diet or eating plan, your body is naturally going to react to the changes, sometimes in negative or uncomfortable ways. These are some of the more common side effects of starting a keto diet. Just know that they are temporary and that there are simple adjustments that you can make to prevent and also remedy any of these potential side effects. Frequent Urination – When you start eating a low-carb diet, your body starts to clear out extra glycogen (stored glucose) from your muscles and liver. This process releases a lot of water and can make you have to pee several times for the first few days. Nausea (“Keto Flu”) – This is one of the most common side effects and is often due to a mineral/electrolyte deficiency (sodium, potassium and magnesium). When your body starts to produce more urine, more of these minerals and electrolytes get processed through your body than you’ve been used to. Increasing your intake of sea salts and natural electrolyte supplements can help remedy this. Hypoglycemia (Low Blood Sugar) –When you suddenly drop your carb intake, your body can get thrown off because it was used to producing a certain amount of insulin to deal with the glucose and sugars in your body. This can be an alarming symptom, especially if you were previously eating a particularly high carb diet. Find out more here about how to help calm and balance your blood sugars again. Fatigue And Dizziness – This can also be a side effect of a deficiency in minerals and electrolytes. When your body lacks essential nutrients, it can become very tired. Keeping your salt intake up and also supplementing with magnesium and keeping lots of green veggies in your diet (for vitamins and potassium) can help prevent this. Headaches – These can occur while your body is in the process of adapting to the change in diet. Be sure to keep salt in your diet and also drink lots of water to stay hydrated and to keep things functioning as they should. Muscle Cramps – These can occur due to a deficiency in magnesium. If you have kidney problems or are prone to them (kidney stones, failure, etc. ), consult your physician before supplementing with magnesium. Sugar Cravings – When you cut carbs and sugars out of your diet, naturally you’re going to experience some cravings. Increasing your nutrient intake and keeping your protein levels up can help with this. Exercise and eating satiating foods can also help calm cravings. Overtime though, your low carb intake can naturally lessen these cravings and maybe even eliminate them for good. Constipation – This is another common side effect of switching to the keto diet. It is often related to dehydration, lack of sodium or too much dairy consumption. Keeping good amounts of salt in your diet, drinking lots of water and also cutting down on dairy can help with this. Good quality dairy products can be great sources of healthy fats and other nutrients, but just be careful not to overdo it. As you can see, most of these symptoms are simply due to mineral and electrolyte deficiencies as well as just the process of adapting to a new way of eating. If you be sure to especially keep sodium (salts) in your diet, get natural sources of electrolytes and drink lots of water, most of them can be remedied and even avoided entirely. Just be careful and patient. It’s generally suggested that especially starting out, you stick to 3 meals a day, about 3-4 hours apart with little to no snacking in-between if you can help it (though if you do need a little something to tide you over, check out the keto-friendly snack list below). *Be aware that sample menu doesn’t follow strict keto macros (refer to above). Probiotics- When you follow a keto diet (very low carb) for more than a few weeks, there is the potential that your beneficial gut bacteria could starve or even die off because of the lack of fiber and resistant starch. In order to combat this, a daily high-quality probiotic is definitely a good idea. I would recommend Biotic Balance. Good Proteins – Like our Complete Protein powder, bone broth proteins, plant-based proteins. These are great sources for helping you stay on top of your daily needed protein levels. MCT Oil – MCT stands for “medium chain triglycerides.” These are a type of fatty acid that helps with energy levels and can boost ketone production. Electrolytes – Especially sodium, magnesium and potassium. Deficiency in these can cause the “keto flu” and other symptoms that were mentioned above. Being sure to stay on top of these can help your transition into the keto diet go much smoother. Minerals/Vitamins – Salts and other minerals can be very important to consume starting out. The meats and vegetables you will be consuming will help take care of this. Using sea salt whenever you can will also help keep your essential sodium levels up. Magnesium – Magnesium is one of the top deficiencies in most American’s. It’s something you should watch whether you’re on keto or not. Magnesium can help ease digestion, enhance muscle function and keep your immune system intact. Eating a high fat diet also can decrease the magnesium absorption rate of your intestinal tract. Be sure to consult your physician before supplementing with magnesium as it can negatively impact certain health conditions. Caffeine – From good sources, caffeine can help with energy levels, especially when starting out and your energy levels are down because of the transition. Caffeine can help tide you over while your body starts to get used to gaining natural energy from ketones. Branched Chain Amino Acids (BCAAs) – BCAAs are an especially great supplement when you’re working out on the keto diet. They help improve the oxidization of fat and also your body’s utilization of fatty storage cells needed for energy. Creatine – Provides great benefits for health and performance when combined with keto diet and exercise. It’s especially great to supplement with if you’re athletic or workout while on the keto diet. It helps keep your cells hydrated and your muscles to build up their strength and also helps your brain stay healthy. Fish Oil – Using fish oil supplements on a keto diet can help optimize triglyceride levels and help your body process them more effectively. This ultimately can help improve weight loss and BMI. Spirulina – Spirulina is a powerful superfood that contains all amino acids you need, which makes it effective in also helping optimize your triglyceride levels and lowering your LDL cholesterol levels (“bad” cholesterol). It can help fish oil supplements work even more efficiently in your body as well. When you’re determining whether a certain food has too many carbs or not, be sure not to forget to consider dietary fiber. Carbs that come from dietary fiber don’t actually convert to glucose and get processed right through your body, which means you don’t actually have to count them. If you’re looking at the carb content of a food and it has dietary fiber listed as well, all you have to do is subtract the dietary fiber from the total carb count and that will be the number you need to worry about, the net carbs. For example: if a food has 20 grams of total carbs and 15 grams of dietary fiber, the net carb count you need to worry about is 5 grams of carbs. People often confuse ketosis with ketoacidosis. Ketosis is a natural process, while ketoacidosis is something that can occur with uncontrolled diabetes and is considered dangerous. It takes a little time for your body to get into ketosis and adapt to the diet change – be patient. While you’re getting used to the diet and trying out new foods and recipes, there may be times when you switch out of ketosis. Don’t fret about this, just stay on track and you’ll be back in ketosis in no time. To test for ketosis, you can use easy test strips or just pay attention for the signs that you’ve entered ketosis. Exercising regularly while on the keto diet helps quicken the process of transitioning your body to burning fat instead of glucose. It also helps improve natural metabolic processes in your body and helps your body adapt better to the new way of eating. It doesn’t take too much – at least 30 minutes of exercise a day 5 days a week can make a huge difference. Go for a daily walk or jog, try yoga, start a gym membership, whatever works best for you. Just be careful not to overwork yourself, especially starting out. This can be said for everybody. Not getting enough sleep can increase stress hormones and actually inhibit weight loss and other important bodily functions. Be sure to get a decent 7-9 hours of sleep each night. Switching to a diet like the keto diet isn’t easy. You have to really want it. Pinpoint your big WHY – why do you want to pursue this diet? What are you going for? Is your why and are your goals big enough to keep you on track? You have to want what you’re going for more than you want those carbs or sugars you got so used to eating. Take some time to figure this out for yourself. Is Keto A Long-Term Diet Plan? A common question people have about the keto diet – is it a long term diet? There was a study done that tested the general impact of a keto diet on someone who used it for a longer period of time. The results were very positive and proved the diet to be a good, healthy way to approach transforming your lifestyle. 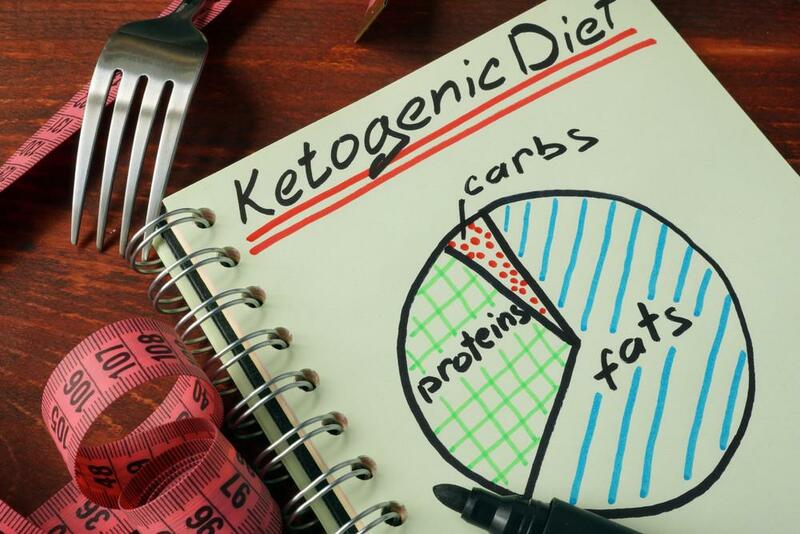 “The present study shows the beneficial effects of a long-term ketogenic diet. It significantly reduced the body weight and body mass index of the patients. Furthermore, it decreased the level of triglycerides, LDL cholesterol and blood glucose, and increased the level of HDL cholesterol. For best results, it is highly suggested to stick with the keto diet long term. If you do come a point where you want to transition out of the keto diet or make it less extreme, there’s not necessarily any exact answer for how to best do that. How long you should stay in a keto diet varies from person to person. Who Should NOT Follow A Keto Diet? There are a few cases where the keto diet is not the best or even safest option for people. People who suffer with serious chronic issues and medical conditions who are also taking important prescription medications should proceed with caution and not attempt the keto diet without medical supervision. It’s true that the keto diet can definitely help with aiding and remedying chronic issues, but especially when medications are involved, this dramatic change in diet can cause some dangerous side-effects or really mess with the way the medication has been influencing your body. This includes conditions such as gallbladder disease, rare metabolic disorders, pancreatic insufficiencies, kidney stones, etc. Also ladies who are pregnant or are breastfeeding should be careful, as well as anyone who has had bariatric surgery or struggles with anorexia, etc. So, do you want to take the plunge and give keto a try? I hope the information in this post was helpful for you! If you loved it, share it with a friend who may benefit from a keto lifestyle. Thanks for this. I’ve been curious to learn more about it simply because I’ve heard a lot of buzz about it lately. Thank for dropping by, I’m also learning about Ketogenic Diet. Basically .. Yummy!